I’m in the Punjab for a few days on my way north towards the Tibetan plateau and a river I’ve got a date with. 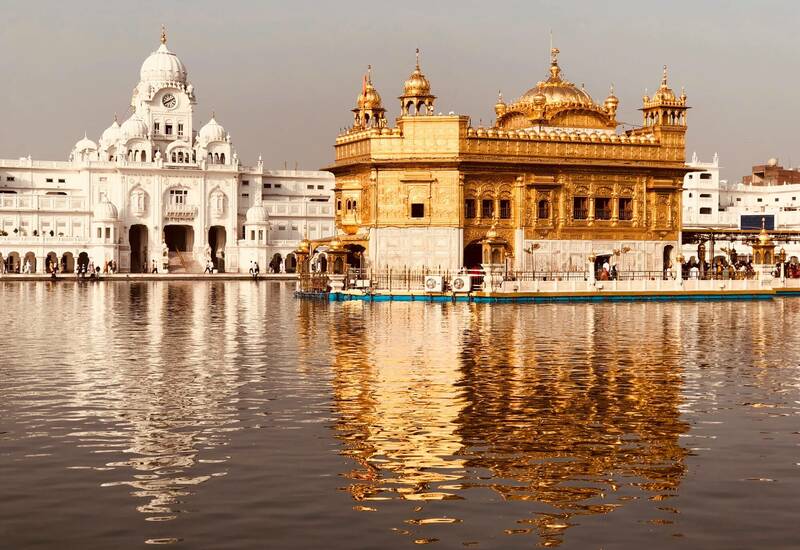 Here in Amritsar is the Golden Temple, the holy epicenter for Sikhs worldwide. 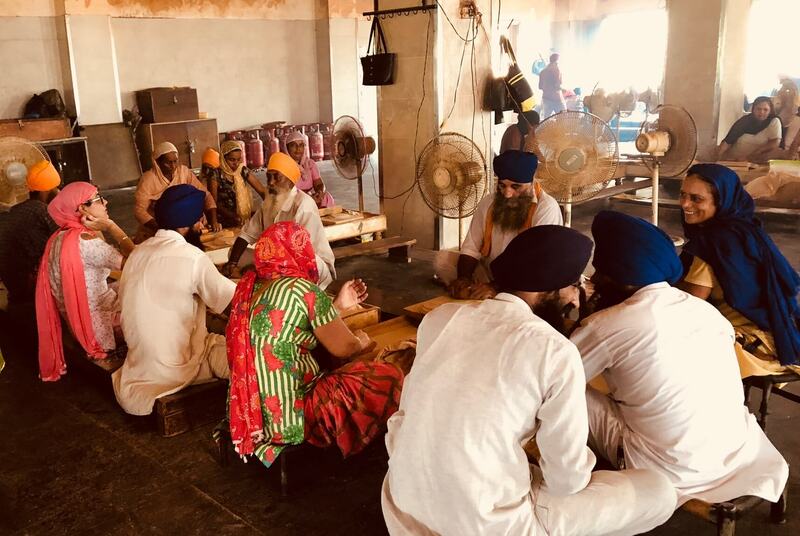 A hallmark of the Sikh faith is the “langar’, or community kitchen, where all visitors are served a free meal regardless of faith, caste, economic status or ethnicity. 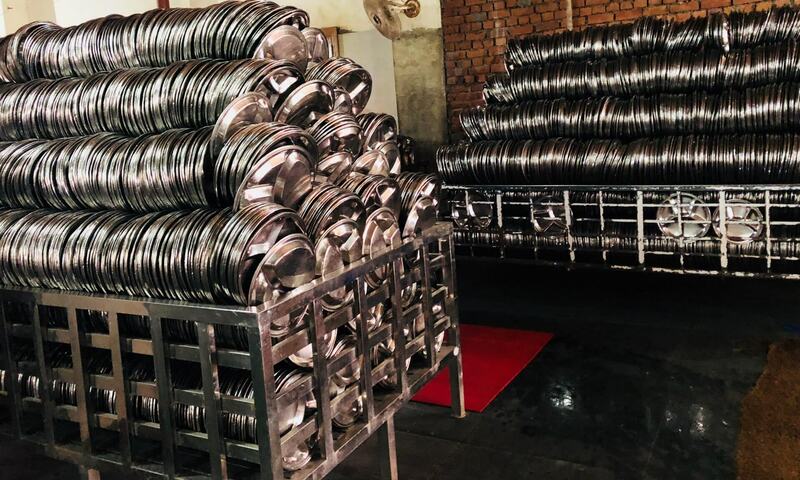 The langar is a keystone in the Sikh faith espousing true equality between all people. 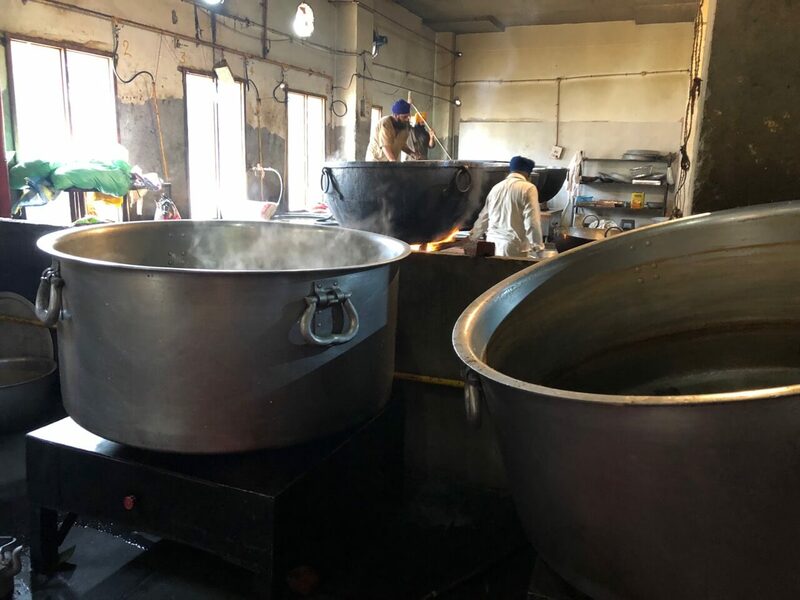 The Golden Temple’s langar is the largest in the world, serving between 50,000 – 75,000 people per day, EVERY DAY. It is an act of monumental service and human connection that requires an army of volunteers working around the clock 365 days a year. I happen to be here during Raksha Bandhan, an annual festival celebrating brotherhood, protection, and love. I unexpectedly walk into an incredible scene of 200,000 Sikh pilgrims gathering at the Golden Temple to pray, communally dine, and celebrate human relationship. It’s an amazing, heaving, bustling, intense experience that is difficult to describe. 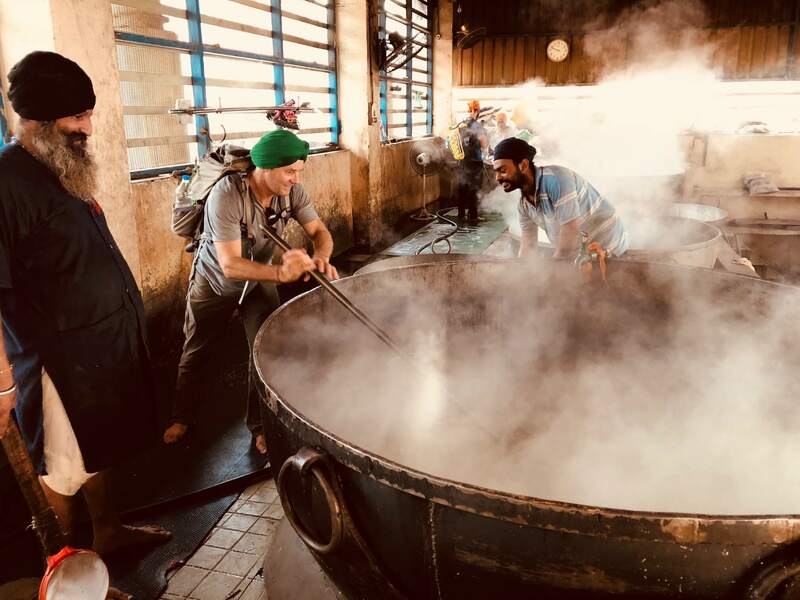 In reverence, I don a turban and humbly participate in the langar with tens of thousands of my fellow humans, receiving my Rakhi bracelet of protection, and helping to serve and prepare a community meal for a sea of strangers. I’m a traveler accidentally in the right place at the right time. But despite being only temporarily nestled within this foreign sea of Sikh brotherhood for just the day…the power of connection between 200,000 of us sharing a moment is strong and real, and I feel blessed by it. India plunges you into the deep end of humanity like few other places can. Traveling here definitely requires embracing the unexpected. 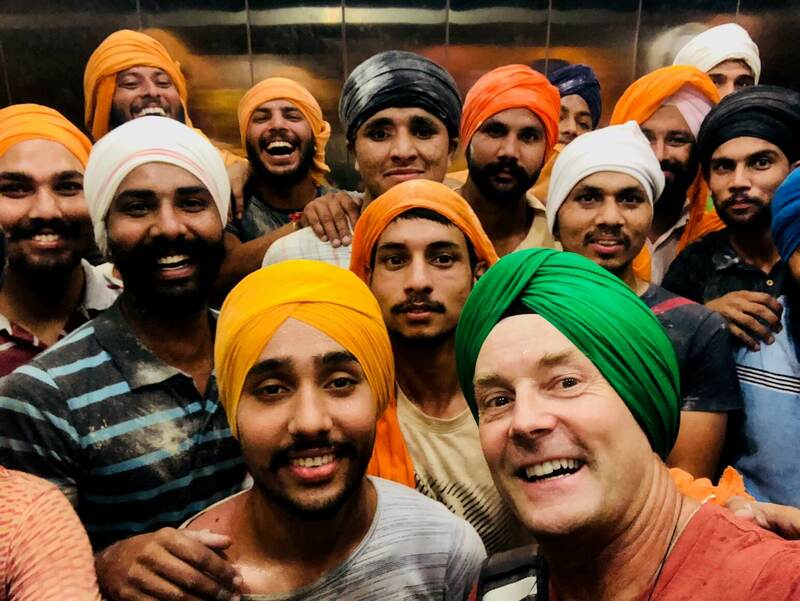 But in my experience, in exchange for the plunge – India will always deliver something magical. Thank you for sharing the magic you are creating!